How do you decide what to read next? 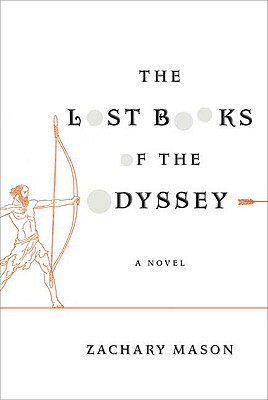 Well, Zachary Mason's debut novel, The Lost Books of the Odyssey, has received two pretty great reviews in the New York Times recently. One review from Adam Mansbach and the other from Michiko Kakutani. And it just so happens that we have our very own, locally-grown critics right here. The reviews are in: this one is a must-read! Mike, Greg, and Adam have all read and enjoyed this gem which features alternative episodes, fragments, and revisions from Homer's original epic. A blending of the Borges literary legacy with Zoran Zivkovic’s mode of “mosaic novel” writing, The Lost Books of the Odyssey refracts the story of The Odyssey and the person of Odysseus down a long corridor of funhouse mirrors--44 chapters of jazzy improvisation. And, at least on a first reading, Zachary Mason seems to never hit the wrong note; at once evoking with considerable skill the Time of Myth and a limbo-like atmosphere where post-modern narrative play is the most natural thing in the world. Somehow, through the multiple short narratives, Mason also entirely avoids the triteness and tedium common to so many authors who’ve decided to “screw with the classics.” So, here is one of those conceptual novels that could have gone wrong in countless ways, and a considerable part of the enjoyment comes with watching Mason sustain his daring high-wire act. This is an ideal bedside book, as every story/chapter is only a few pages long and is also likely, late at night, to put you in a dreamy altered-state, frame of mind. Reading this short work reignited my love for myth and legend. Mason's must-read debut collects a series of "what-if" and "what-could-have-been" scenarios inspired by Homer's classic. Each chapter is a wildly imagined fable, twisting the familiar into something new and amazing. So come on in and check it out. Three Third Place booksellers can't be wrong (oh, and those New York Times people probably know what they're doing too).